There are 105 posts in this topic. You are on page 1 of 3. We just had a very successful evening of pinball. Food, drinks and some friendly competition. We ended up playing a double elimination tournament using Brackelope, and then we played 6 "holes" of pin golf. Both methods were lots of fun. We will definitely do this again. We're already talking trying to start up a monthly game. If anyone is in the Colorado Springs area and wants to get involved, let me know. Thanks to pinsiders: GHaradon, RobKnapp, Q-Dog and to guests Matt, Alan, and Kip. Thanks for hosting Russell. Had a great time and looking forward to it being the first of many. I'd be very interested in attending. I'm not a great player, but do enjoy socializing, playing pins, and meeting people interested in this hobby. Please let me know of future events. Thanks! Your name came up Wesley. This was kind of a short notice gathering. Sounds great Russell, I'm in. I met Rob at RMPS, great guy, so he knows me, kinda! lol. I live up in Briargate close to the Pine Creek golf course. Might have to make the drive down from Denver. Loves me some Tempest. Why other video games do you have in that wonderland of yours? I have Missile Command, Major Havoc, Tempest, Centipede, Dig Dug, Black Widow, Galaga, Donkey Kong, Joust, and Crystal Castles. I am planning on thinning out the arcades a bit, to allow for more pins. Congrats Russell...looks like you was a lot of fun. Our next meetup and tournament will be 5/25/14. PM me for details if interested. awesome set up! I plan on attending once my schedule changes, or maybe show up a little while before i have to go to work. I'd love to meet up with other Pinsiders in the springs. Had a great time. Thanks for the invite. I'm looking forward to the next one. 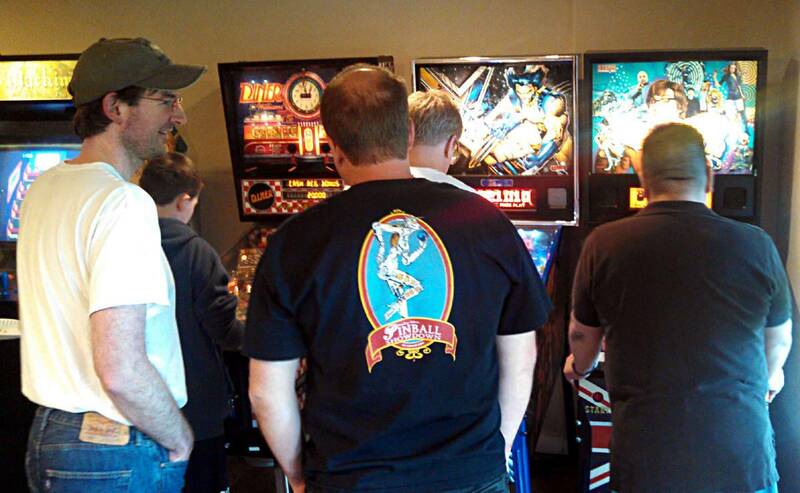 We had another great night of pinball in Colorado Springs. Special thanks to gharadon for hosting tonight. 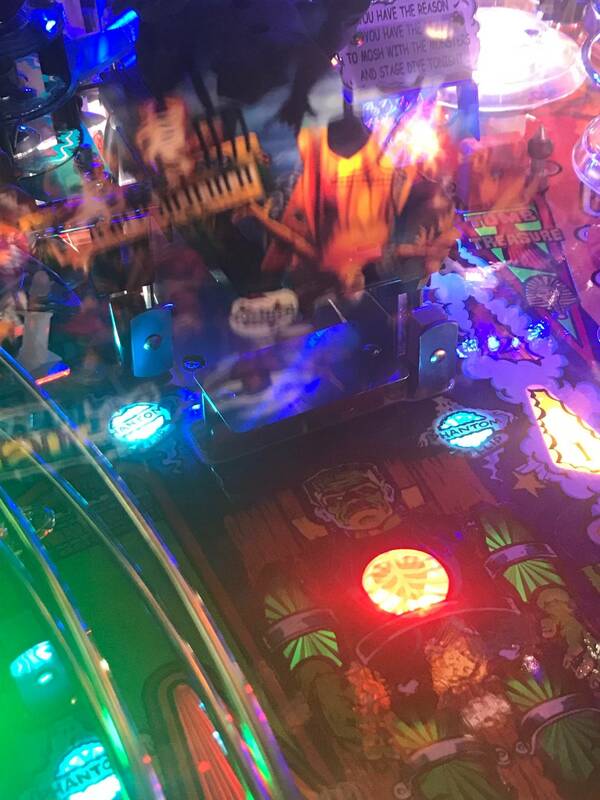 We played 8 holes of pin-golf on 4 machines: Diner, X-Men, AustinPowers and SpaceJam. We had a great turnout, 15 players! Thanks to all who joined us, including Pinsiders: gharadon, hyperball91, cincy_kid, dankme, wesleycowan, erczilla, RobKnapp, Q-Dog, pushupman (+2), along with Drew, Eric and Tony. We don't yet have our next meeting worked out. If anyone in the area is interested in getting involved, PM me for details. Was a great party and nice to meet everyone, Thanks to Russell for organizing and GH for hosting. Already looking forward to next month. I had a great time last night at Geoffs place, thank you so much for hosting Geoff! 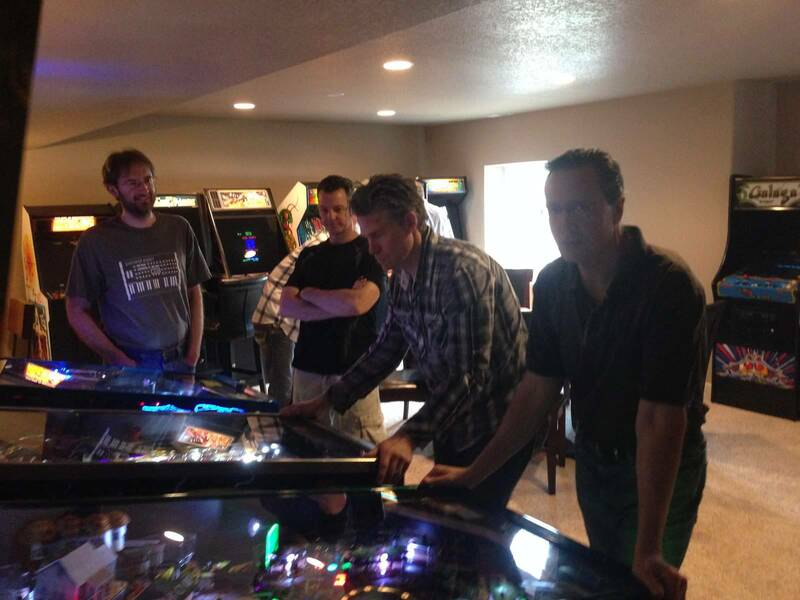 We all had a great time playing pin golf and it was good to meet other pinball enthusiasts from the Springs. Many thanks to Russell for organising the event and like everybody else I'm really looking forward to our next gathering. Ditto! Thanks for hosting Geoff and Russell for organizing! And for whoever brought the extra game. It was awesome meeting up with some local fellow enthusiasts! That was Matt that brought the Space Jam along in his truck, so thank you Matt for bringing your game along. Much appreciated, and great meeting you. I introduced one of your sons to Metal Slug on Geoffs MAME cabinet and we had a great 2 player game to the final mission. He's a good kid. Here's a couple of photos I took during our pin-golf tournament last night. Sorry for the crummy phone photos but I fixed them as best as I could in Photoshop. Lol , Alas no women to peacock for . The pics make me miss Colorado Springs. I was a Horace Mann/Palmer guy back in the day, but mostly hung at Nickels N Dimes and King Pin on Academy. Russell you wanted idea's for a name for the new group . 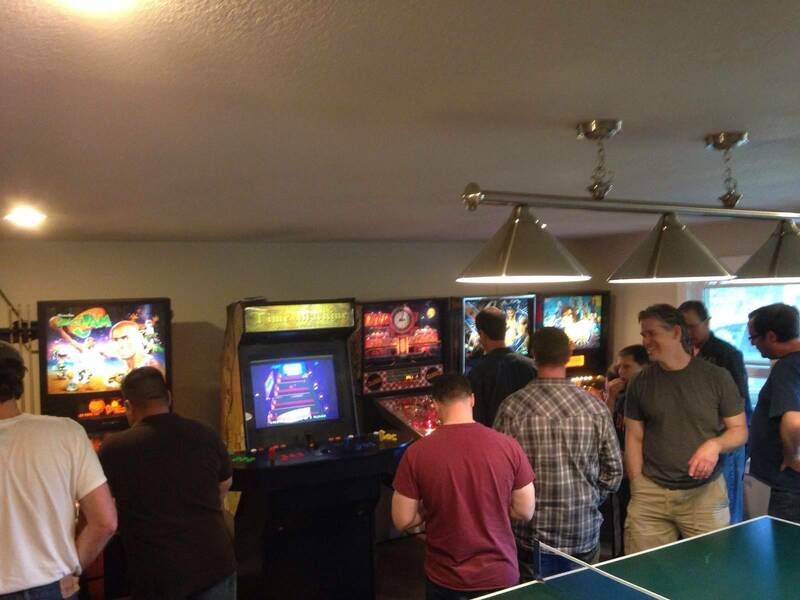 One thought " Pike's Peak Pinballer's "
Would be nice to have another group event in the near future! I just heard from the guy who runs Lock When Kit who's always at the Denver show and does board work. He will be in Colorado soon, likely this weekend and I'm going to have him work on my Capcom CPU. Do you have any games that need board work done? If so and you think you might want him to do it, he's getting real busy and will soon have a backlog. But since he'sis coming to Colorado this weekend you wouldn't have to wait if he is going to be at Rocky Mountain Pinball which is now in June istead of April. I bought a NVRAM recently that he sell with two options. There's either the more expensive one that works on many Bally/Williams pins, Capcoms, some but not all Gottliebs, DE, etc or he also has a less expensive option that works on fewer games. I got the cheaper one that works on DE and Capcom both and have it in Maverick for now, since PM isn't working. This allowed me to get the battery holder off the board and so no more worries of batteries leaking on the boards. 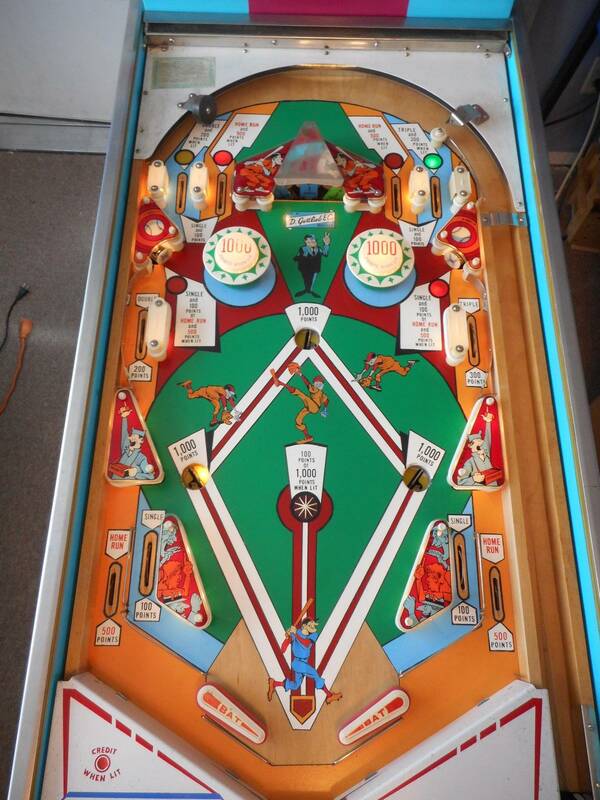 On most games it just an easy install requiring no soldering on the board. If you're really busy I can take any boards, assuming I might have to go to Denver, unless he's willing to come to COS. I haven't lived out there since the mid-late 90's. I used to know a lot of the guys out there - but looking at the pictures, only ONE guy looks familiar now. I'm old now, my memory's gone. Couldn't recall any names. Having a little get-together in Colorado Springs tomorrow. 1pm until whenever. Let me know if you're interested. No, I'm studying most of the day. 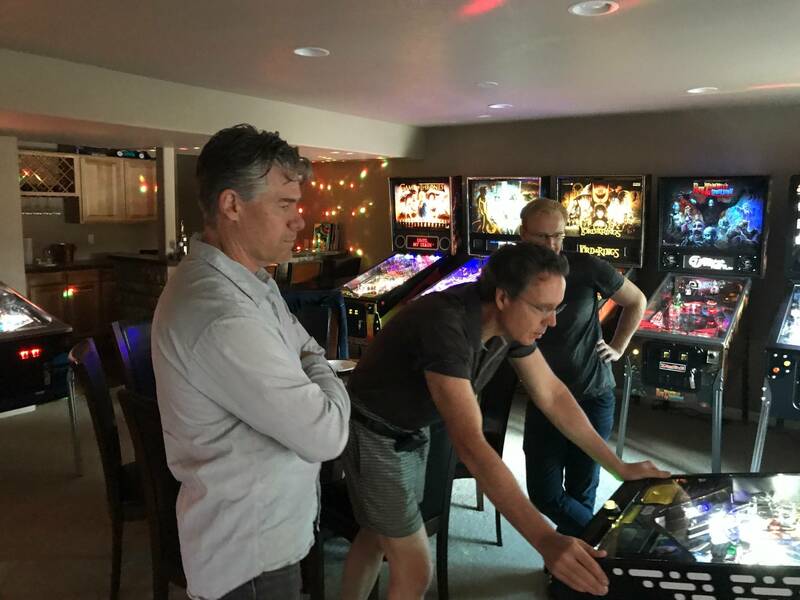 Figure I can have a little pinball hang out, but can't spend all day in Denver. We had a nice little get-together. Played 18 holes of pin-golf. We even had a rare Rob Knapp sighting! 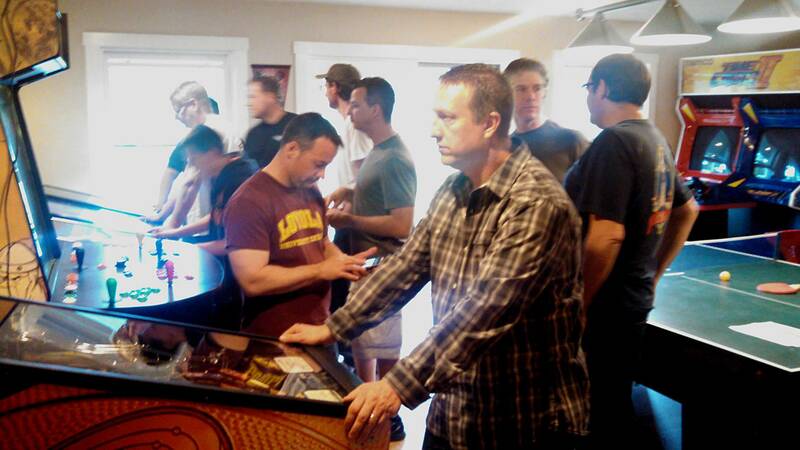 Time for another casual Colorado Springs pinball party. Tomorrow. Sunday, 2/25/2018. All are welcome. Let me know if you’re interested. No idea why it’s attaching this old photo. I would like to try and make it. What time today? I need to talk to my wife about what's going on today. I would like to meet all you guys. I have talked to some of you on the phone over the years just never had the chance to meet you. Probably 4-8pm. Will PM you. Thanks, everyone for joining me this evening. Great turnout. Had a great time. Congrats to Ryan Wanger, who took home the Grand Prize with a 41 over 18 holes of PinGolf. Had a Great Time Russell! Wish I could have stayed longer. Pin Golf was creative and fun. Thanks. Next time, I think we should just do 9 holes. 18 was a bit too long, though still fun. Russell, thanks for the invitation and a great time. 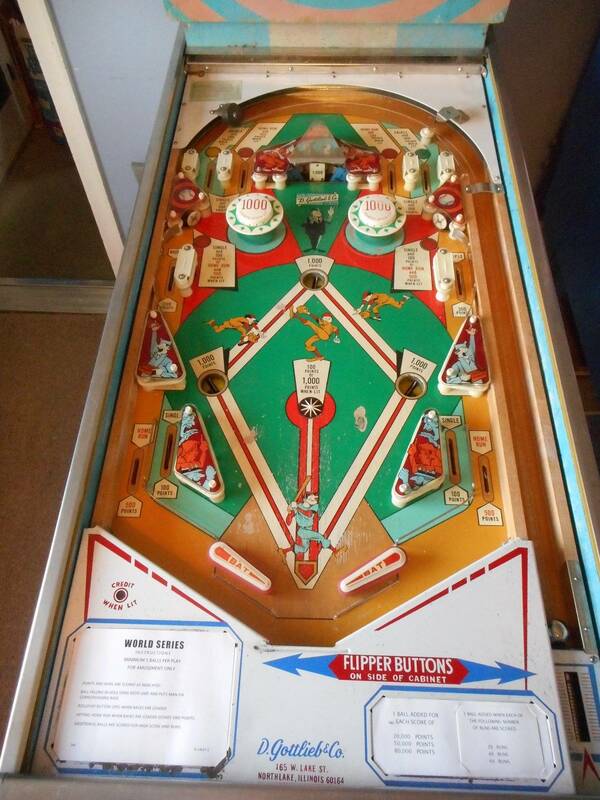 It was my first attempt at anything competitive in pinball, and I really enjoyed it. Russel, thanks so much for the invite. I was kicking myself for not being able to make it and hope you have another one soon. Looking forward to meeting local players and pinsiders! It was a lot of fun. I think we had 22 players...with no WPPRs! I think this, along with the fact that I couldn’t buy one of the 880 Pinburgh tournaments 30 seconds after they went on sale, shows the incredible growth of interest in pinball. Glad to see it finally happening a little in Colorado Springs. 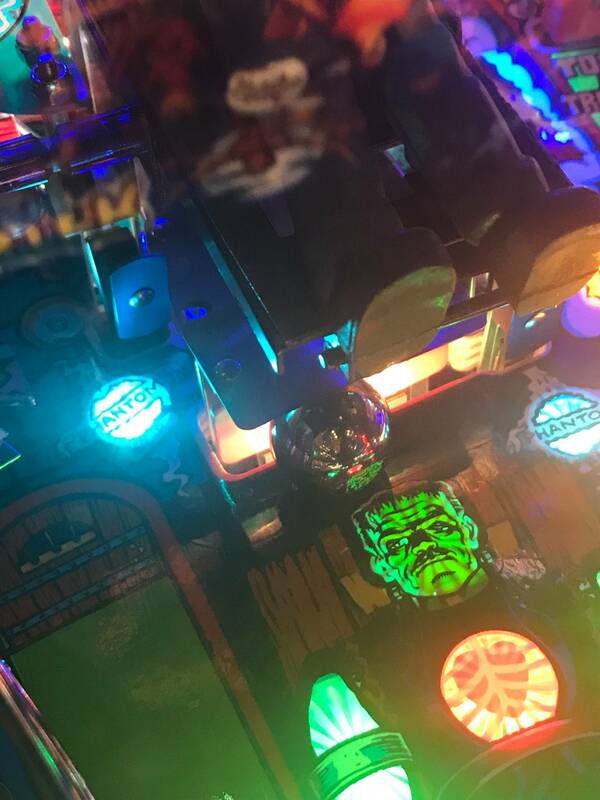 Did anyone go to the Pinball showdown this year? We did. Had fun, but man it was hot in the main room. They needed to work on the HVAC system. 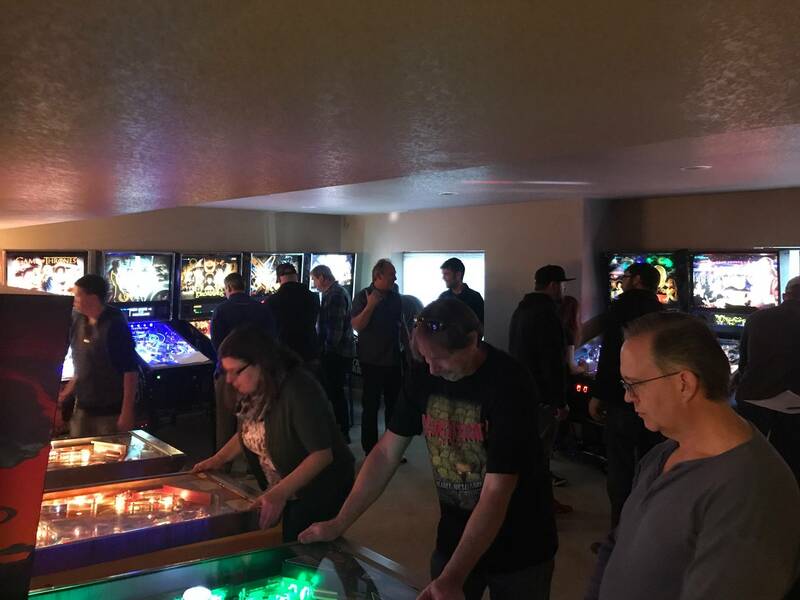 New pinball location in Colorado Springs. It’s called The Control Room. It’s within Cleats Bar and Grill. The games are decent. Some of the games are floaty. And someone desperately needs to buy this place a level. But overall, a decent venue. Check it out. I'll have to get there. Is it somewhere that a league could be started? I'd definitely love to join something in CS. Not sure. Might be possible. There would be quite a few people that would be into it. You're plugged in much more than I am. If you want to put some feelers out, I'd be happy to help with some of the backend legwork to make it happen. Thats great. Definitely worth seeing if the venue is interested. I’m happy to help. There is a good chance I could be convinced this is a good idea. Wonder how many players we could get? AJ is the one that told me about the place. I bet he’d play. Hello Russell, we are the company providing the games at the control room. We have high hopes for the location and we will be doing a second build out in April/May. Our technician will be there this week to address the level of the games and tweak them to play well. Please email us at info@milehigharcade.com with any issues and we will relay that to our technician. Thank you for stopping by and the feedback. Drew, do you have plans for leagues, tournaments? 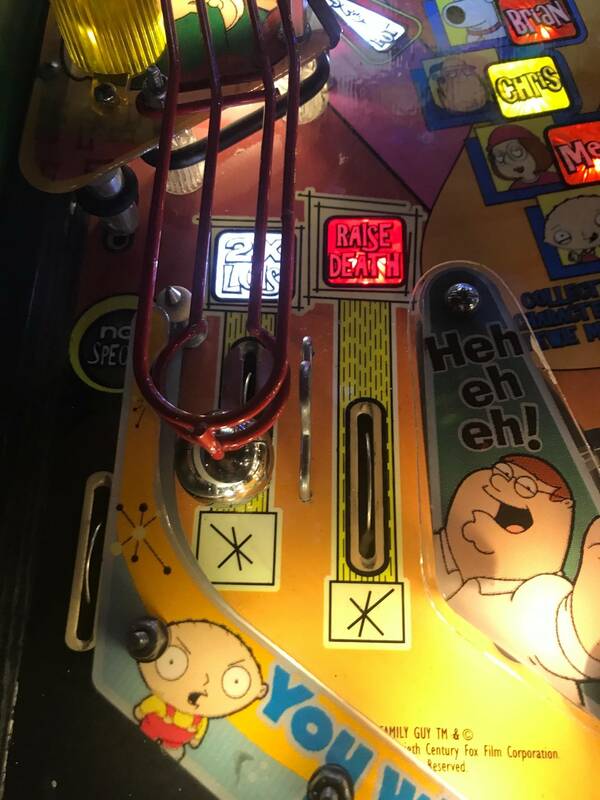 By the way, Stewie pinball on Family Guy doesn’t work at all.